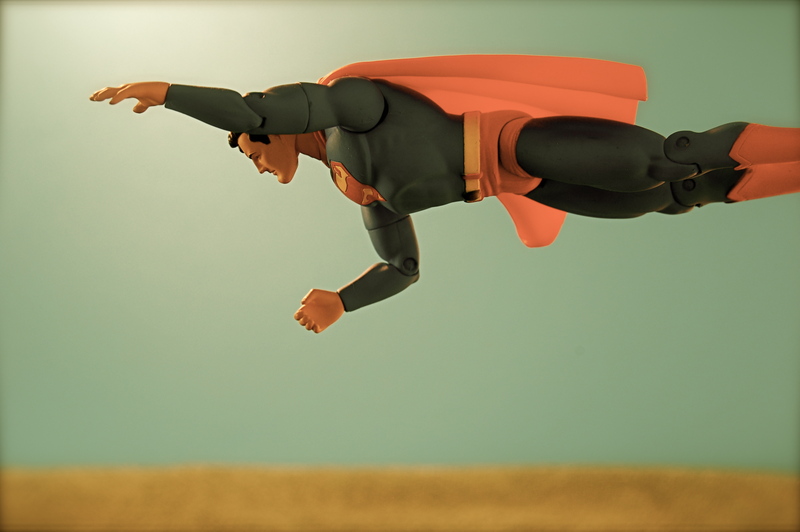 Are You a 2018 Yield Hero? 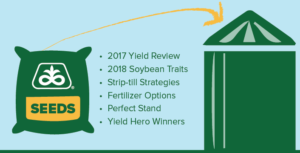 Bauman Agency is pleased to introduce our Hybrid Yield Hero contest for 2018! 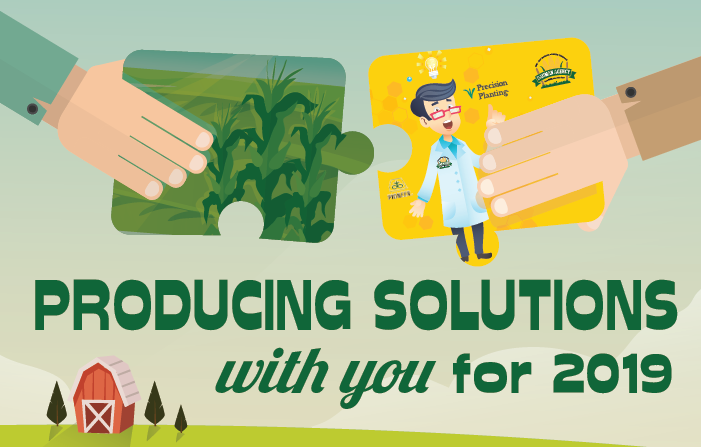 The yield contest is for each individual Pioneer corn and soybean product from the 2018 growing season. Each hybrid winner will be displayed on a banner that will remain on the Bauman Agency “Wall of Fame” for the year. 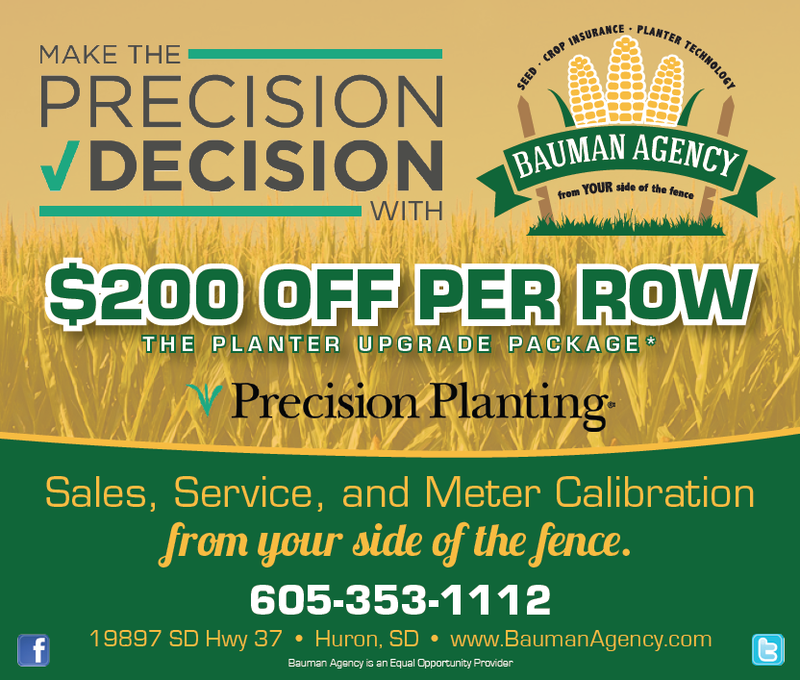 They will also win a personalized Bauman Agency jacket and an invitation for 2 to our annual Yield Hero Dinner. 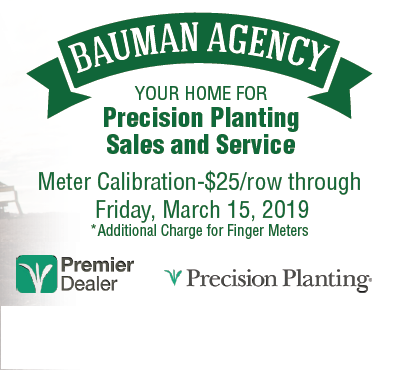 All entries must be harvested from Pioneer brand seed purchased from Bauman Agency. Each entry must consist of no less than 10 contiguous acres. Only one entry per person per hybrid. Producers may enter as many hybrids as they purchased. Each entry must be submitted on a separate entry form. Yield evidence must be presented as scale tickets or a contiguous yield map from a calibrated yield monitor. Irrigated and dry-land acres will be in separate hybrid divisions. Winners must agree to have their picture taken. Bauman Agency will use these photographs in print and social media advertising. Deadline for entries is December 1st, 2018. Remember: All entries are due at the Bauman Agency office by December 1st, 2018. 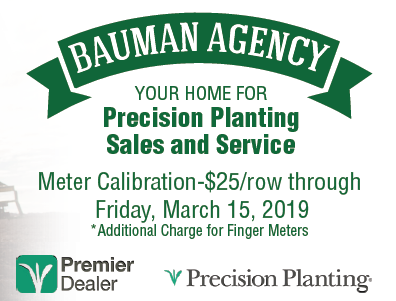 It’s time for Bauman Agency’s annual plot tour! 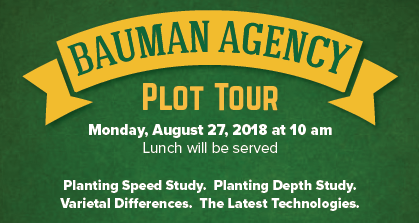 Please join us at 10am on 27 August 2018 for a tour of our test and research plots, so we can show you the best new hybrids we have to offer. We’d love to share what’s “outstanding” in our fields so that next season, your operation’s yield performance can be even better! Meet us at 19897 SD Hwy 37, just 9 miles north of Huron, SD, for the tour. Lunch is on us! Please call us at 605-353-1112 with any questions! We look forward to seeing you! Don’t forget! 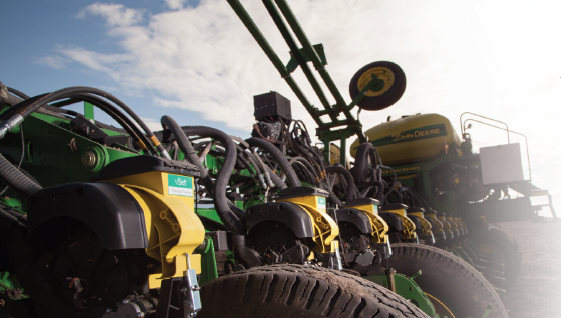 Our planter upgrade package special is still going. Call us at 605-353-1112. We’d love to help take your operation to the next level. 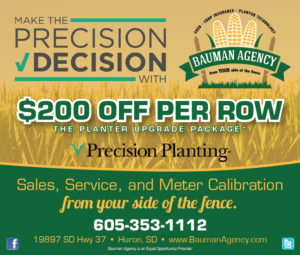 After all, we’re Bauman Agency…and we see planter technology from your side of the fence. Please join Bauman Agency on Friday, February 16th for a free seminar on navigating the marketing opportunities and pitfalls for 2018. 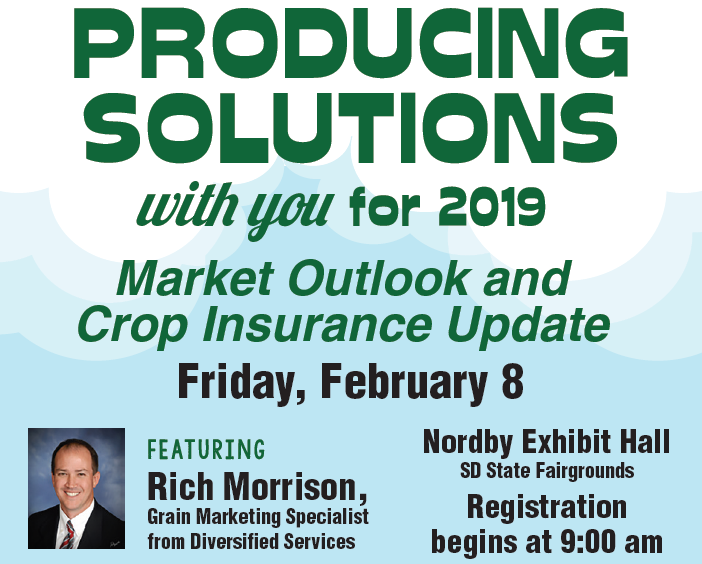 Rich Morrison, a senior risk analyst from Diversified Services will be on hand to answer your questions about how to maximize your operation’s profit potential this year. 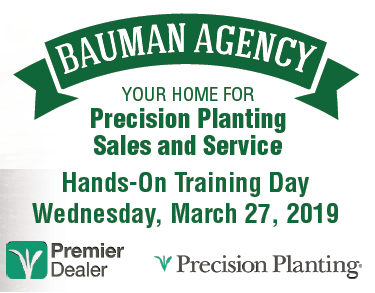 We’ll also be ready to share the newest crop insurance strategies, the latest in planter enhancements, and more — all with a free lunch to boot! The event will be held at the Nordby 4-H exhibit hall on the SD State Fairgrounds in Huron, from 9:30am to 3:00pm. See you there! 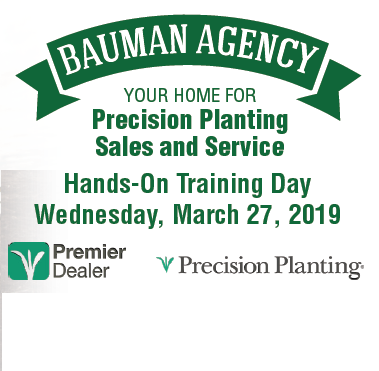 Bauman Agency is ready to help you navigate all the steps you’ll need to take in 2018 to help your farm thrive! 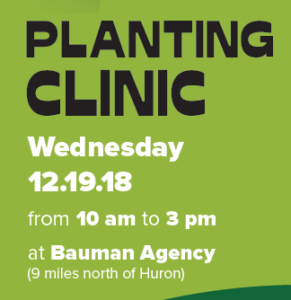 We’re hosting a special free planting clinic on Wednesday, December 20, 2017 from 10:00 am to 3:00 pm at Bauman Agency (9 miles north of Huron), where we will talk about all the right steps you’ll need to take from the bag to the bin in 2018. We’ll give you the 2017 yield review, give you an inside scoop on 2018 soybean traits, provide you with the best strip-till strategies available, talk through all the options you’ll have for fertilizer this year, let you in on the secrets behind having a perfect stand, and congratulate this year’s Yield Hero winners! Registration is from 10:00a to 10:30a, and lunch will be served. Please call us at 605-353-1112 with any questions. We’ll see you there! 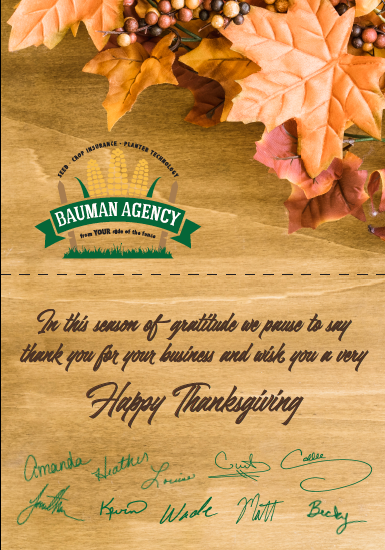 In this season of gratitude we pause to say thank you for your business and wish you a very Happy Thanksgiving! You can find the full card here.